Personnel compliance management software designed for not-for-profits. Manage staff training, induction & compliance information in one place. 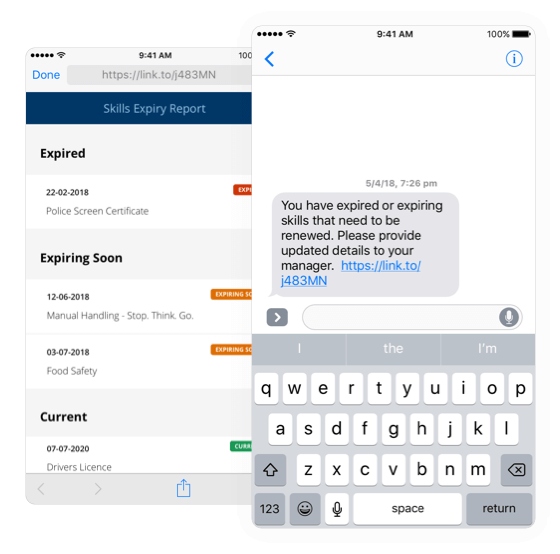 Have confidence that you can evidence compliance obligations with a single source of truth for skills and training compliance data. Reduce the burden of preparing for audits and managing employee compliance information. 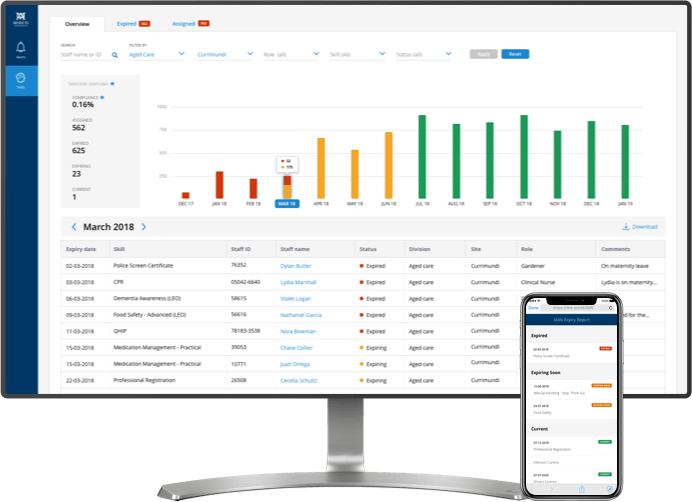 Reduce the paperwork and eliminate spreadsheets by managing and reporting on key training and skills compliance in one place. Manage inductions, compliance and competencies consistently. Zero in on overdue training, plan training and organise attendee lists months ahead with the a month-by-month view of staff to be renewed. 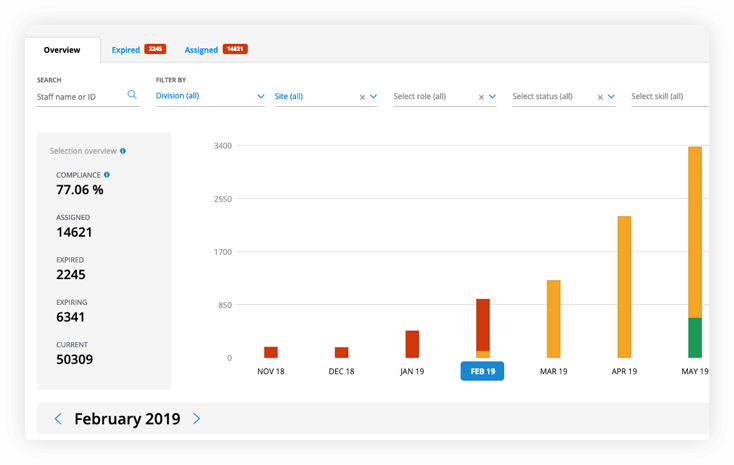 Scheduled email and SMS reminders sent thirty, sixty and ninety days from expiry dates so you spend less time chasing people for renewed data information. Operating across several locations? 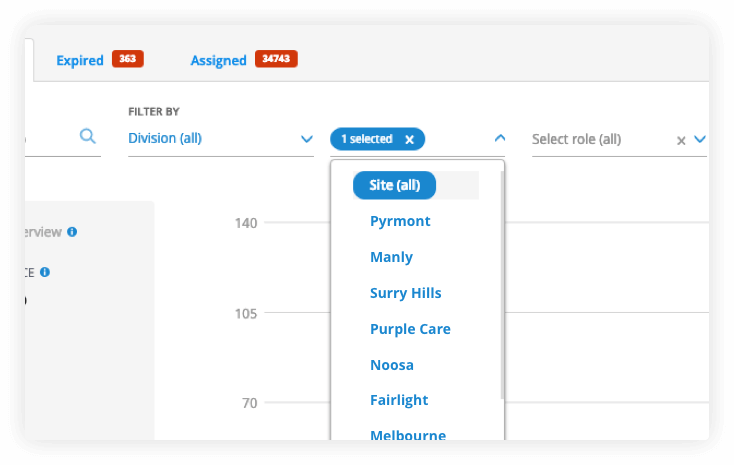 View compliance by location or roll up for complete oversight of organisational skills compliance.